PRATHMIK SHALA MA BALKO NE BIN ADHIKRUT SAHITYA NA VAPRVA DEVA BABAT. CLICK HERE READ PARIPATRA PAGE. 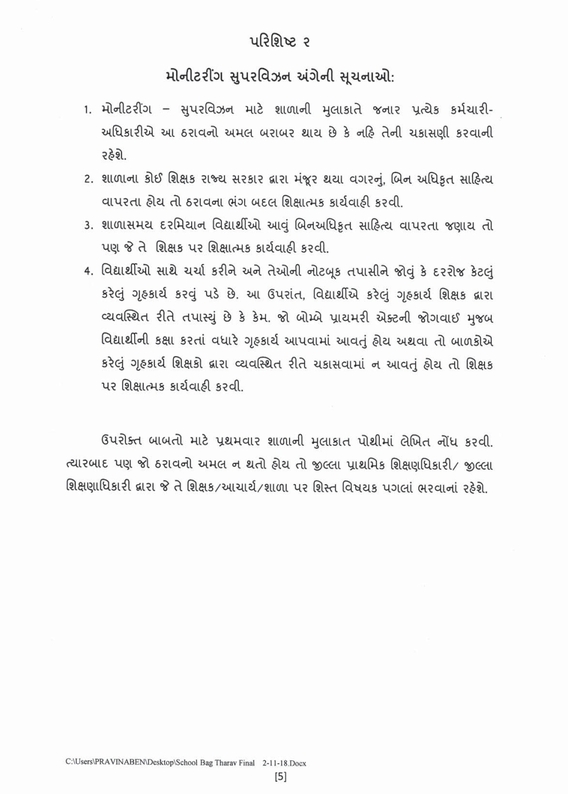 STUDENT SCHOOL BAG WEIGHT CLASS 1 TO 12 - USEFUL FOR ALL SCHOOL AND TEACHER PARIPATRA DATE- 26-11-2018. CLICK HERE TO FULL PARIPATRA ALL PAGE. SCHOOL MA STUDENTS NI SCHOOL BAG NO BHAR OCHHO KARVA BABAT SIXAN VIBHAG NO LATEST PARIPATRA DATE:-26/11/2018. The Department of Education Additional Subject Weight of School Bag Instructions Issued.